1. Flexible 10 days - we will use the light day and night for encounters, so be prepared for a midnight call, as will always try to utilise the best light when it happens. 2. 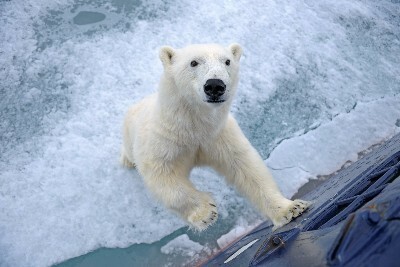 Captain - we have two awesome captains who are obsessed with showing clients the wonders of Svalbard. 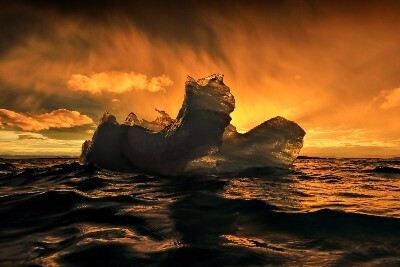 Working in the sea ice, sometimes well into the sea ice, you need to have the best and we have it in Per and Magnus. They have their own navigation charts too so we can do things that others can't, it's as simple as that! a) Adam Rheborg is one of Svalbard's most senior and respected expedition guide. He is partnering with Andy for their 9th trip and together they make one of the best teama in these waters. Adam has great humour, is very safety conscious and lives and breathes the Arctic. All clients that have been with this dynamic duo agree that they can turn a bad day into wonderful photographic opportunities, they are simply the best at what they do. 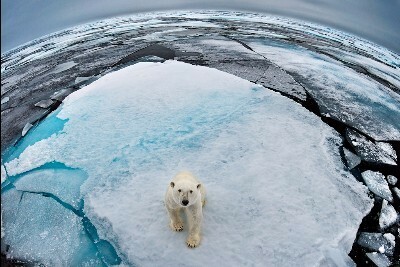 b) Dr. Nikita Ovsyanikov is one of the most respected polar bear scientists on the planet. He has lived amongst polar bears on Wrangel Island for 25 years studying them at close quarters and is an expert on polar safety. He currently runs workshops for anyone working in polar bear country and is the only existing professional solution to save polar bear lives while preventing any damage to humans. Andy worked with Nikta and Adam on his M/S Quest expedition, and was inspired to hear his passion and knowledge on all things polar bear. 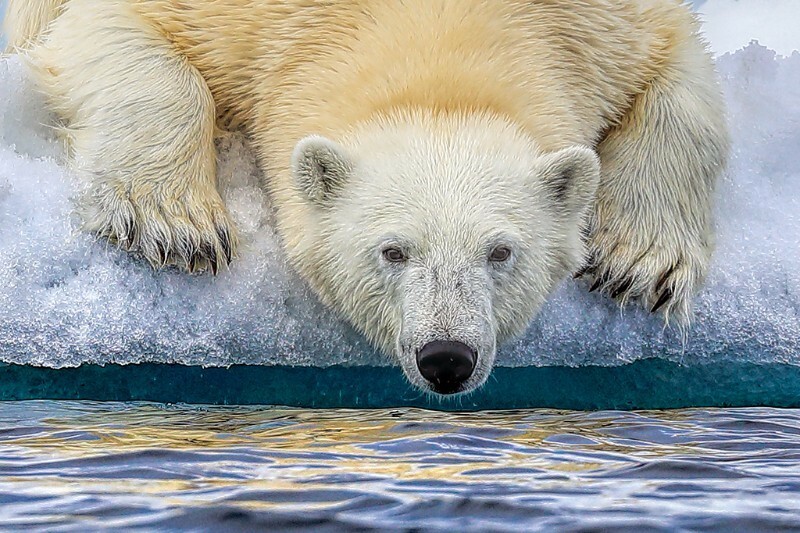 Both Andy and Adam are pleased that Nikita will be a guide aboard this trip, giving polar bear talks, leading the other Zodiac and sharing his Russian humour. 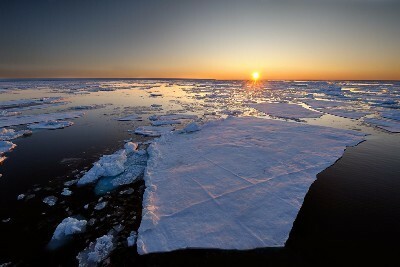 A great addition to this expedition that sets it above the rest for pure polar bear love and passion for the Arctic. 4. M/S Stockholm - with it's low sides and ice strengthened hull this ship is perfect for finding polar bears safely in the sea ice. It has original wood panelling and a vintage feeling, which is so much better than modern alternatives. 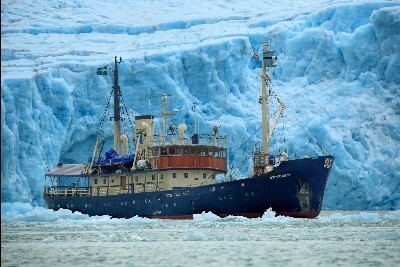 With great food and a wonderful atmosphere she is the ultimate ship for Svalbard. 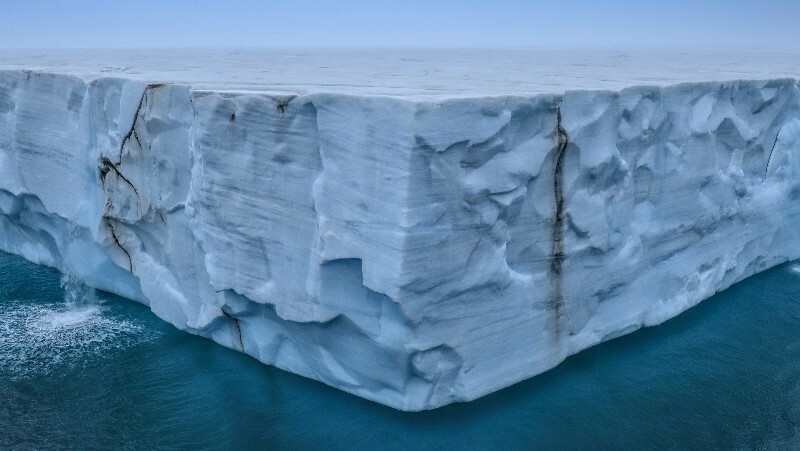 For photography we have the lowest deck in Svalbard, plus higher vantage points and the awesome crows nest for the ultimate view (several of the ice pictures on this page were taken from here). We also use the crows nest for spotting bears a long way off, allowing us to approach them carefully and slowly, which is why we get so many amazing encounters. That's why we consistently do very well with bear sightings, the Stockholm has a great reputation for a reason! 5. 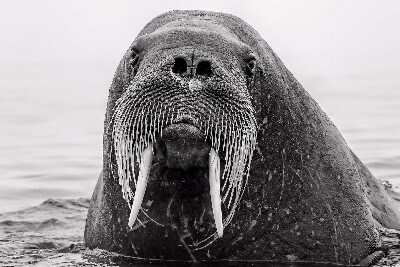 Andy Rouse - On his 14th trip to Svalbard Andy is one of the world's most experienced wildlife photographers, a Canon Ambassador and has a real passion for all things Svalbard. Since his early days camping out on the sea ice, he now exclusively uses the M/S Stockholm for his small ship adventures. He works closely with Adam, working out the best plan for each day and controlling any angles for wildlife encounters. Andy leads these trips from the front and this ensures that you get the best opportunities as he wants them too. 6. Onboard talks - There are no formal lectures planned but Andy will be giving many informal ones on photography, processing and general wildlife. He will be on hand at all times for any photographic advice and you will always be inspired by his vision and ability to see a great picture. Adam gives some excellent talks on Arctic Exploration and Walrus and Nikita, well he can just talk about polar bears forever! It's an amazing team! The cost of this amazing adventure is £8250 per person sharing, which is a very good deal considering the great guide team that you are getting and the photo expertise. As always there is a full brochure with more complete information on the link below, plus with details how to join up!